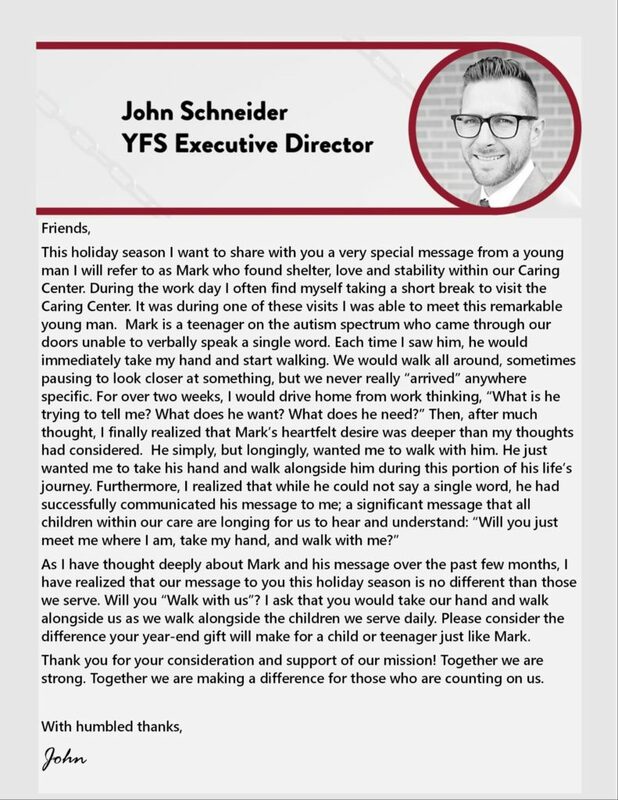 Friends of YFS gives individuals, donors, volunteers, businesses and corporations a great way to stay connected to the expanding services provided by YFS. Give your time and resources and learn about our innovative programs and the wonderful impact we are having on the community. To learn more about becoming a Friend, click here.